Skirting all the rules. 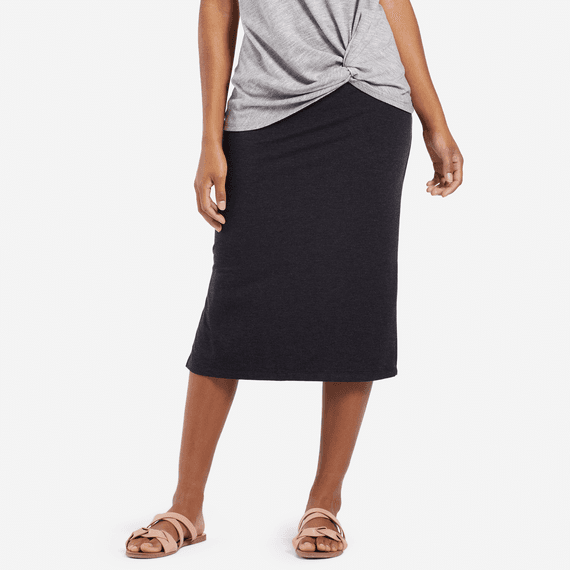 Our midi skirt easily dresses up or down at a moments notice. Simple detailing meets blended and brushed fabric for luxuriously supreme softness. Side slit, wide comfy waistband, 28"" inch long. Wherever you're going, go in style.